This Site Is About You! Did you know that understanding your inborn personality is the single most important factor that shapes your achievements, relationships, health and sense of well-being? The Color Q personality system created by Shoya Zichy is currently used by over 600,000 worldwide to enhance corporate and personal productivity. The Color Q personality system is your window to a new and more productive future. But to make this happen you must go through a seminar or coaching session and have Shoya review and coach your organization on the results. SO WHAT EXACTLY IS COLOR Q? Color Q is an award-winning personality profiling system, combining the work of Carl Jung, David Keirsey, the Myers-Briggs community and modern day brain research. It is designed to meet the fast-paced needs of companies, associations, universities and individuals when time is of the essence. Vivid and user friendly, it provides critical insights that lead to immediate results. Click here to learn more about Color Q. "Awareness of the variety of styles was a career-altering event. It has provided me with a strategic advantage in many career & personal situations." "Your presentation was both educational and entertaining and we have received tremendous feedback from all who attended." 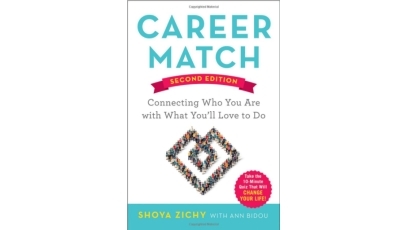 "Zichy scores a bull's eye in showing leaders how to understand their strengths and use them to work and manage more effectively." Now the ball is in your court. It's time to either learn more or take action. Click here to Book a Seminar. To contact Shoya send an email. Color Q is now available in numerous languages: Arabic, Chinese, Italian, Korean, Spanish and Portugese. For non-US seminars, see International Licensees.